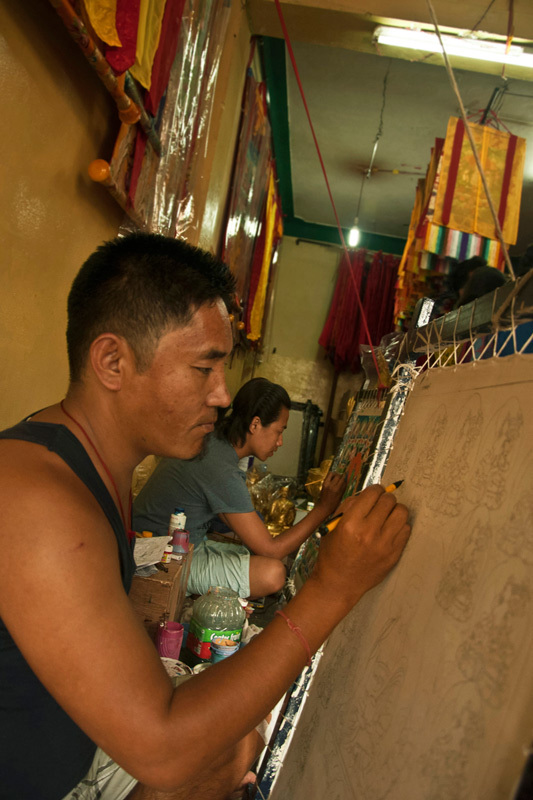 Rough sketches are drawn on gelatin paper. 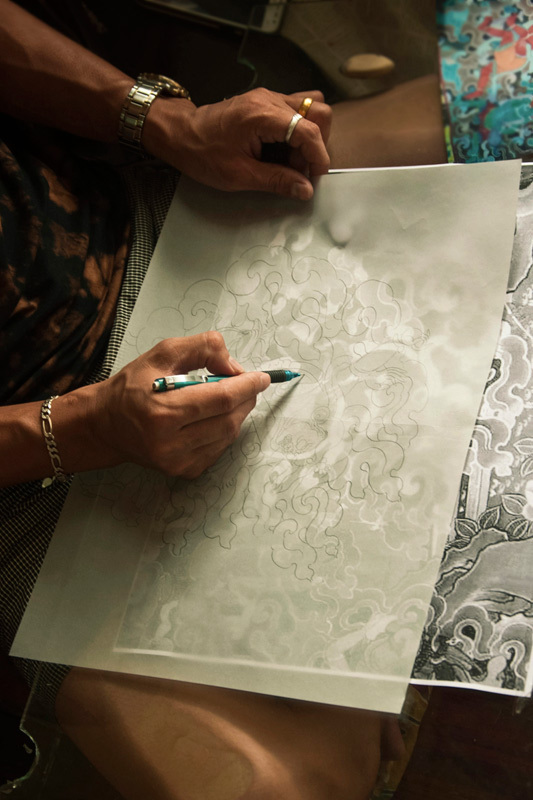 From the gelatin paper the design is traced on the cotton cloth (canvas). 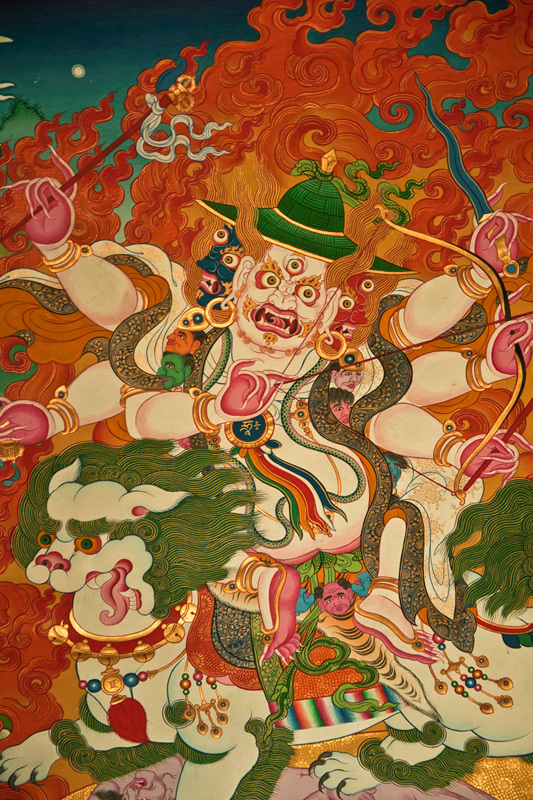 Systematic lines are painted to make the eyes arms and legs of the figure in the painting. 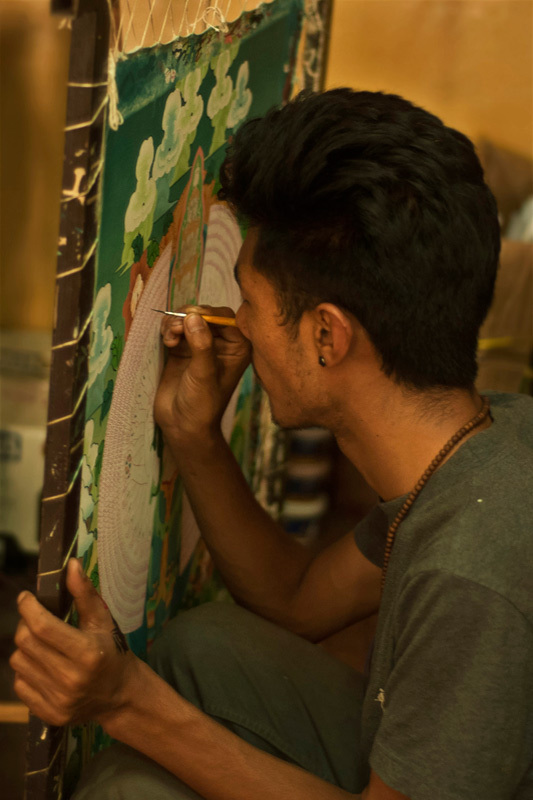 It takes 15 to 20 days to finish a medium sized painting. 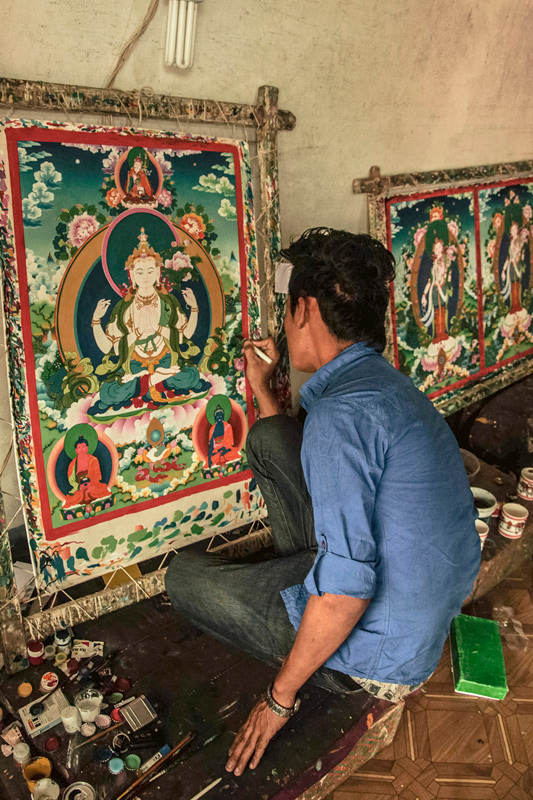 The painting is made by skilled and proficient artisans. 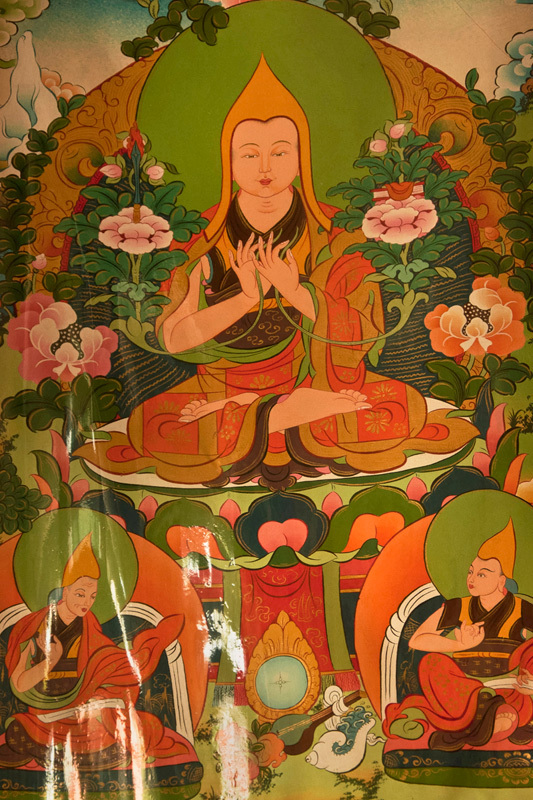 Painting of lord Buddha with his followers. 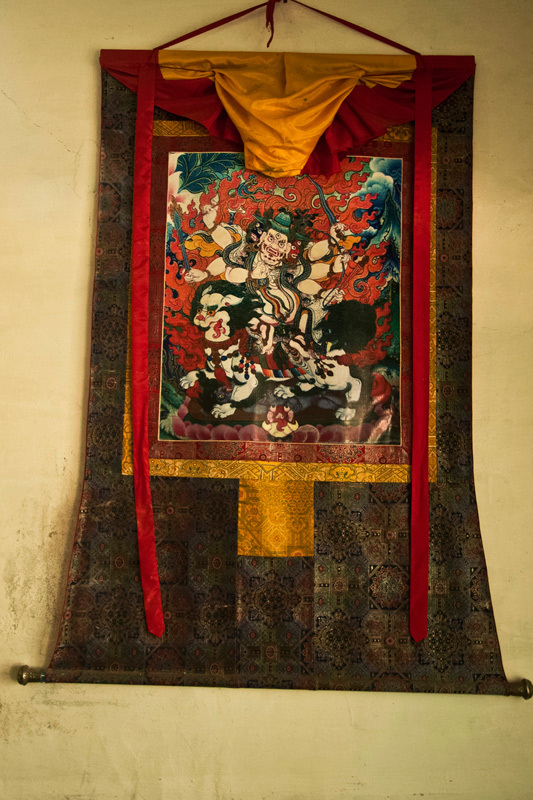 The paintings are covered using red and yellow cloth, which symbolizes of Gods wearand also paintings used as hall hangings in homes and monastery. 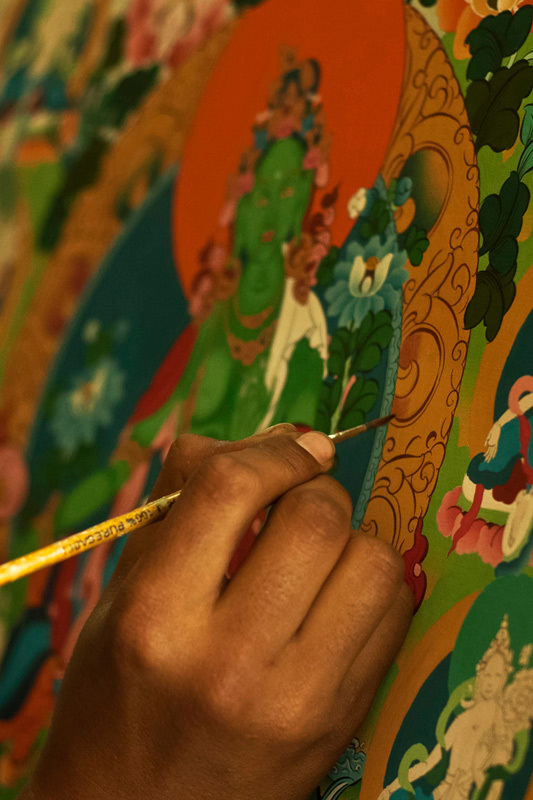 The main colors used for making the thangka paintings are red, white, blue green and yellow. 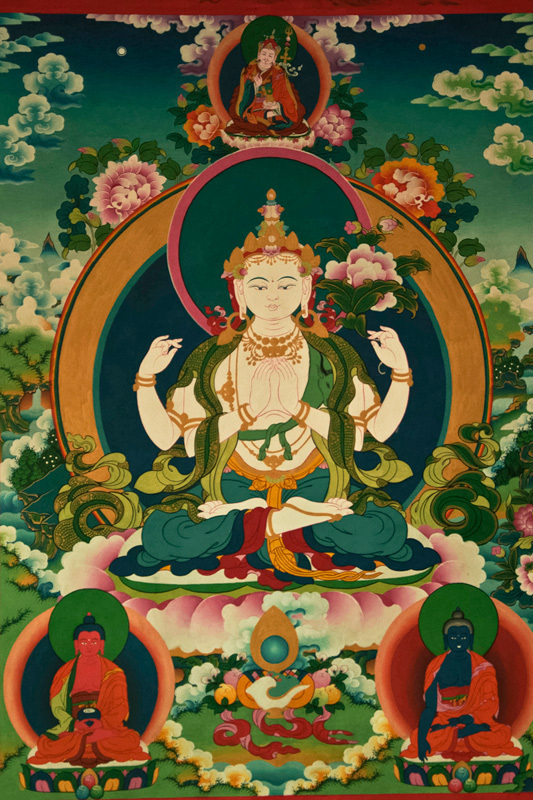 Green colour is used majorly as it indicates the nature and active compassion of the Goddess. 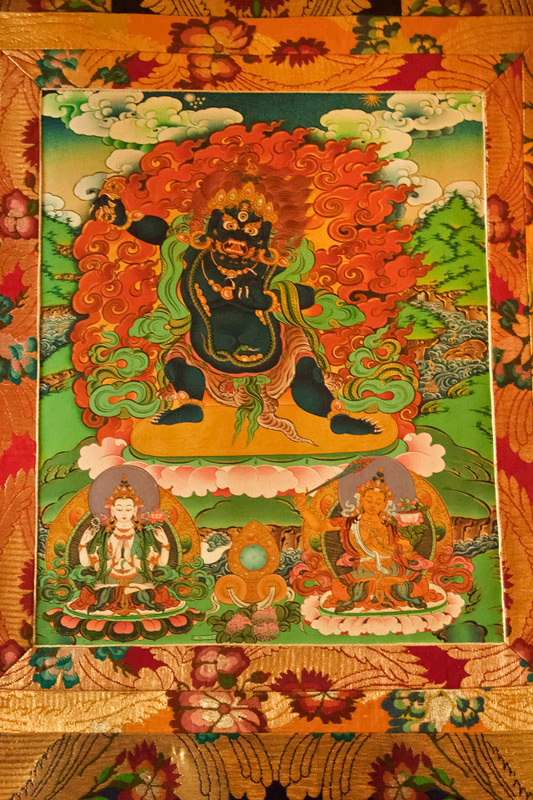 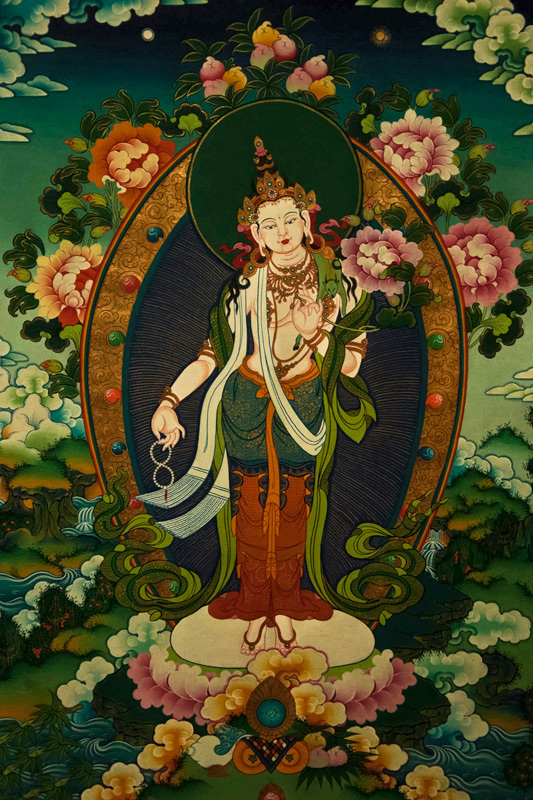 Finished thangka painting depicting Grren Thara. 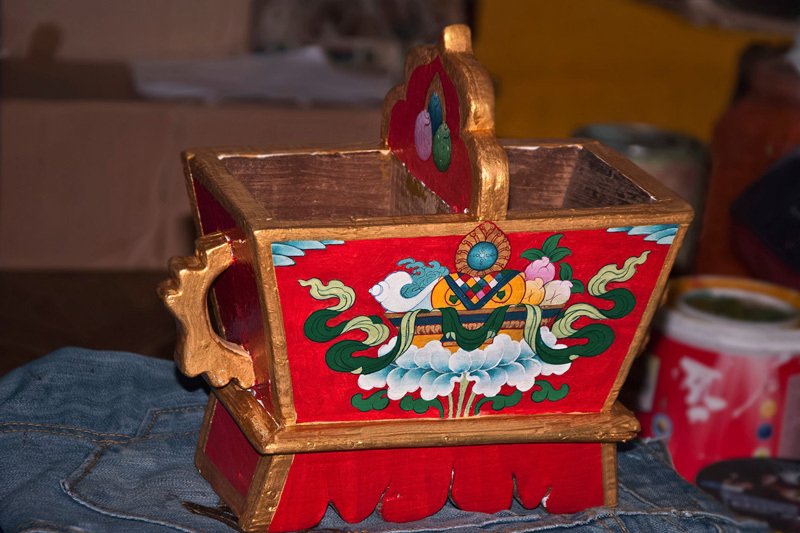 A wooden box painted with thangka painting.